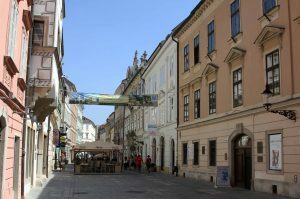 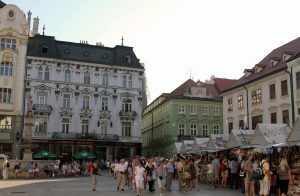 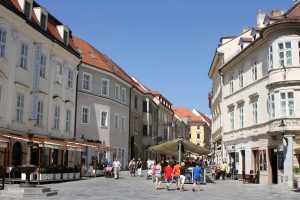 I visited Bratislava from 21-22 August in 2010 and what follows are some of the photographs I took while I was there. 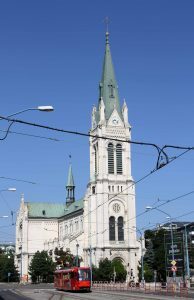 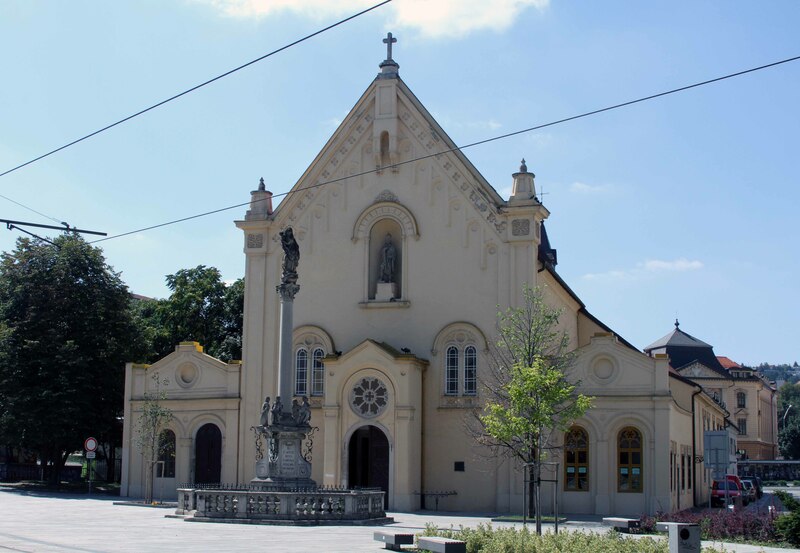 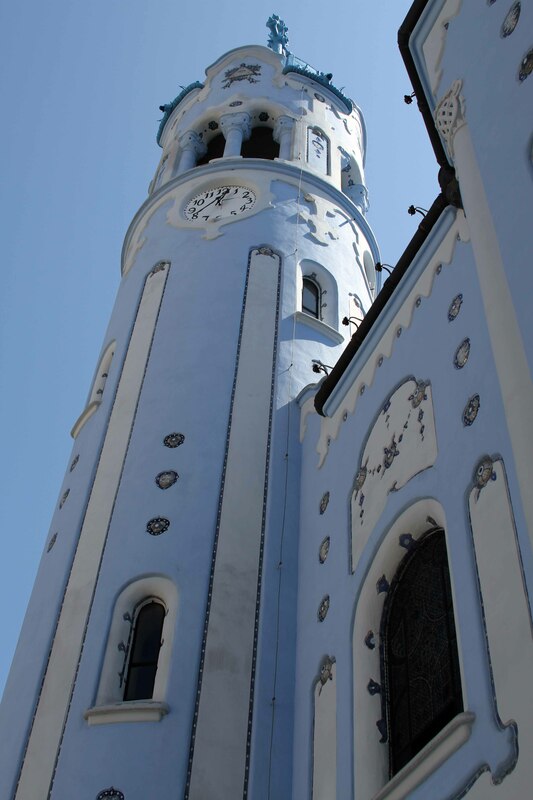 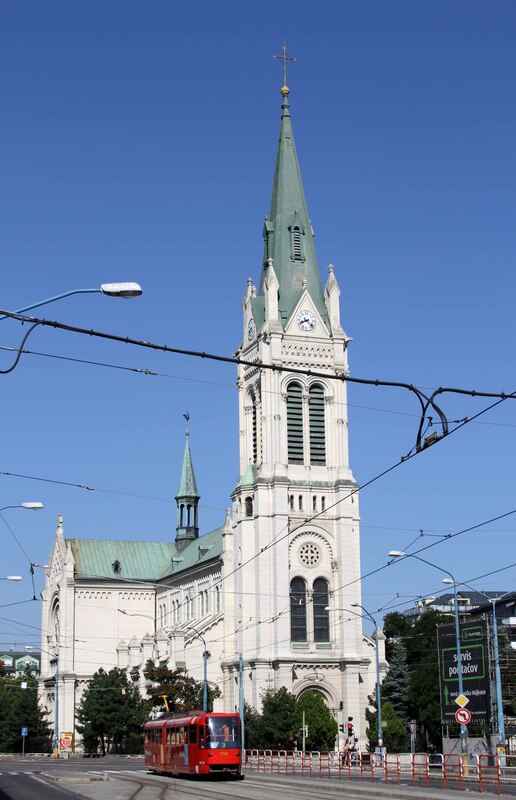 The Church of St. Elizabeth (commonly known as the “Blue Church”); built in 1908 AD, this is a Hungarian Secessionist Catholic Church in Bratislava. 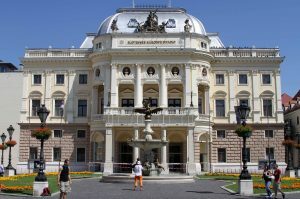 The old Slovak National Theatre building, which was constructed in 1886 AD. 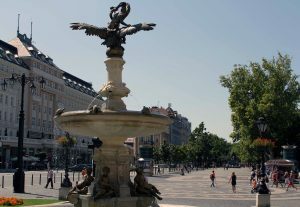 The fountain in front of the old Slovak National Theater with Hviezdoslav Square in the background. 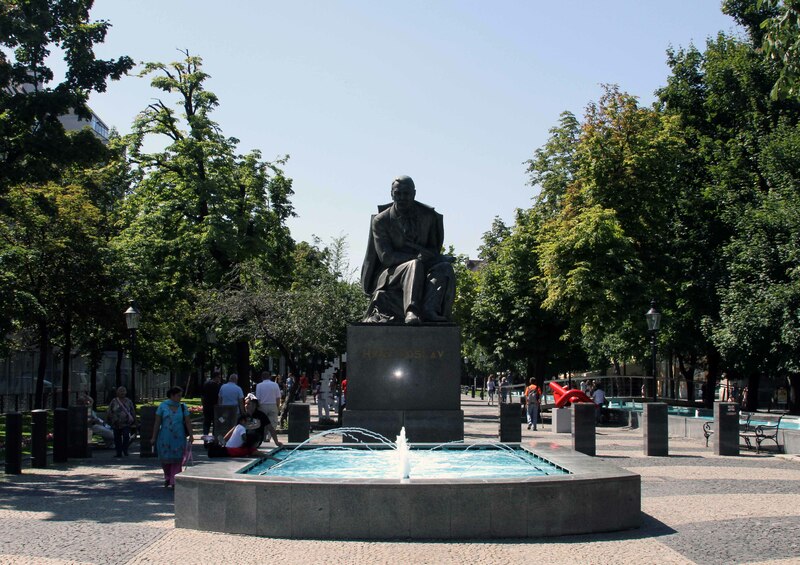 Statue of Pavol Országh Hviezdoslav, a Slovak poet (located at Hviezdoslav Square). 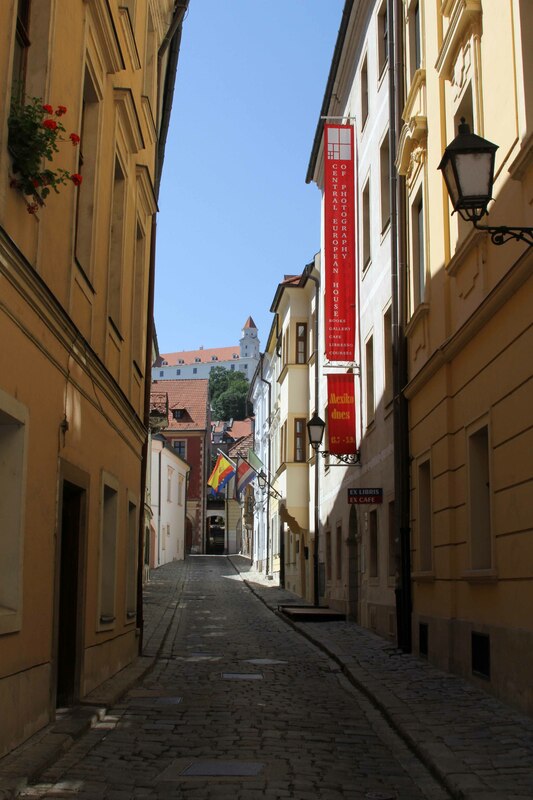 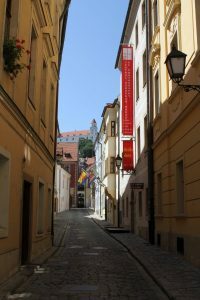 Looking down Ventúrska street in Bratislava’s Old Town. 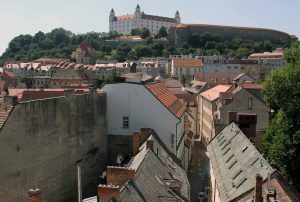 Prepoštská street with Bratislava Castle visible in the background. 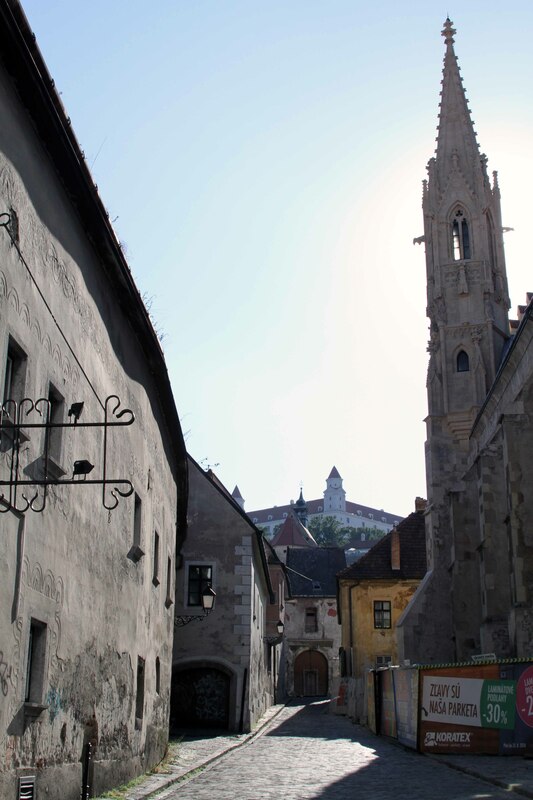 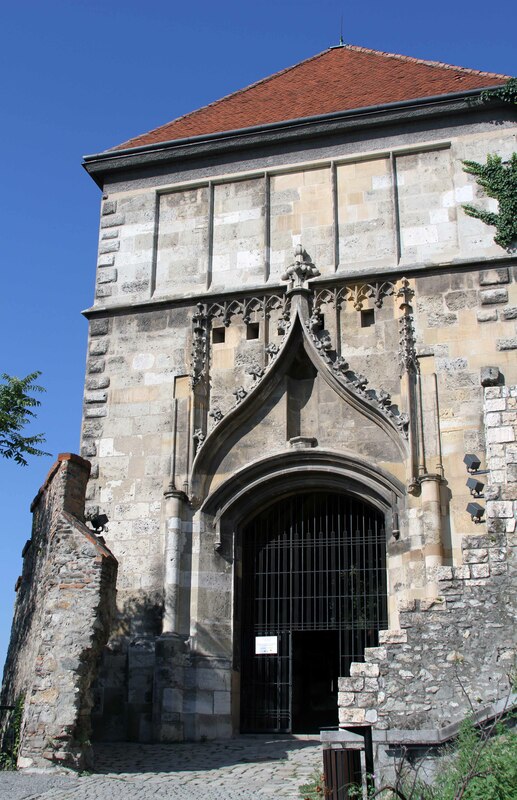 St. Michael’s Gate; this gate was built around 1300 AD and is the only medieval gate preserved in Bratislava. 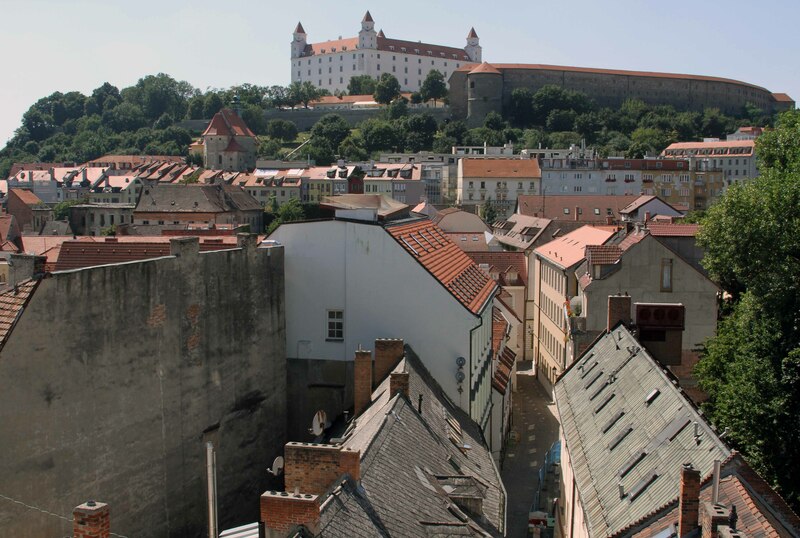 View from St. Michael’s Gate, looking toward Bratislava Castle. 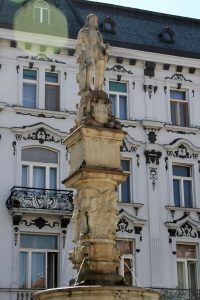 Closeup of Roland Fountain in the Main Square of Bratislava’s Old Town; the fountain was built in 1572 AD to provide a public water supply. 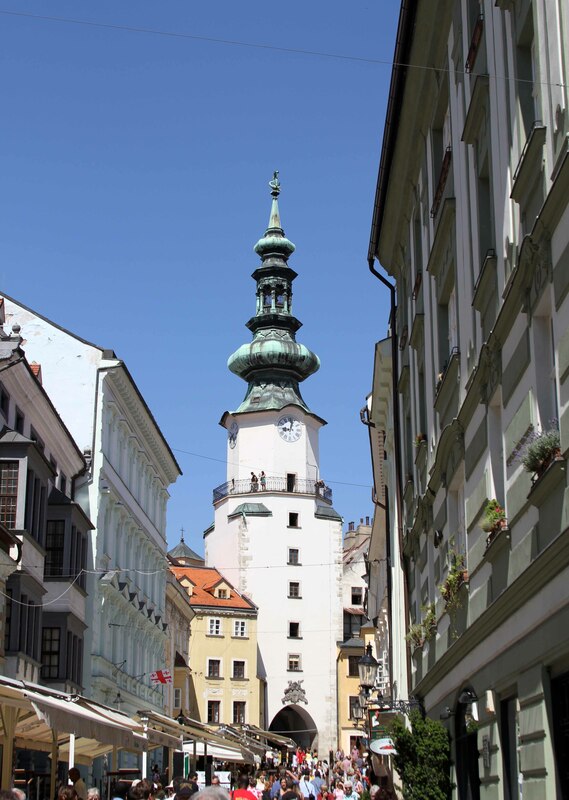 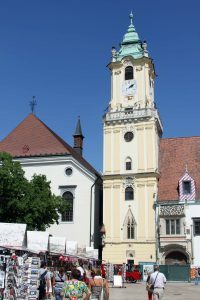 The clock tower of the Old Town Hall in Bratislava. 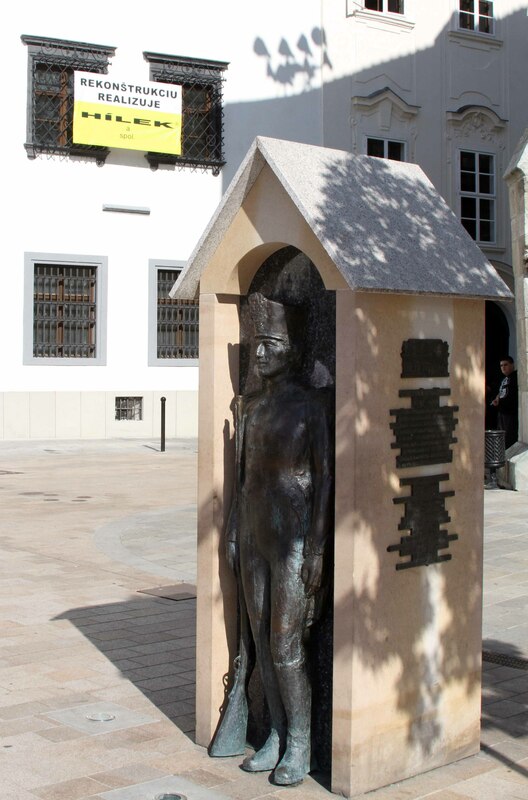 ‘Čumil’ (translated as “the watcher”) – this probably Bratislava’s most famous statue -, found at the junction of Laurinská and Panská streets. 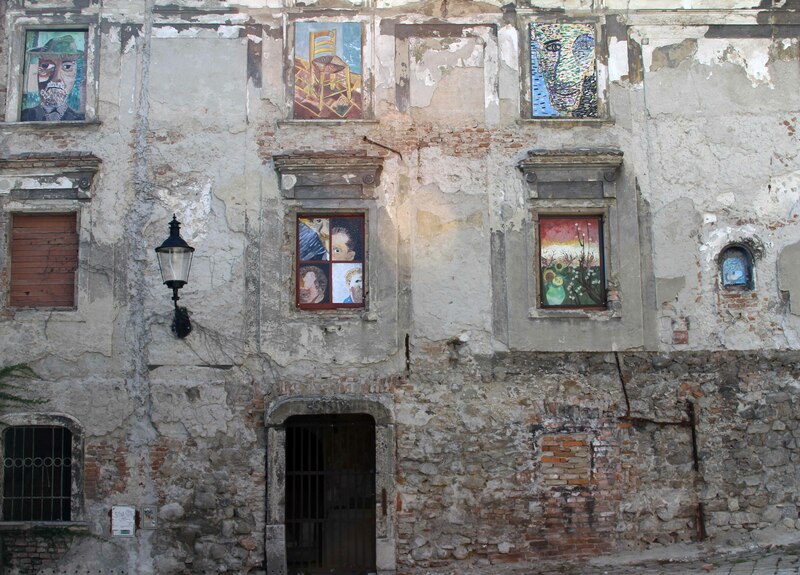 Art covering the boarded windows of a derelict building. 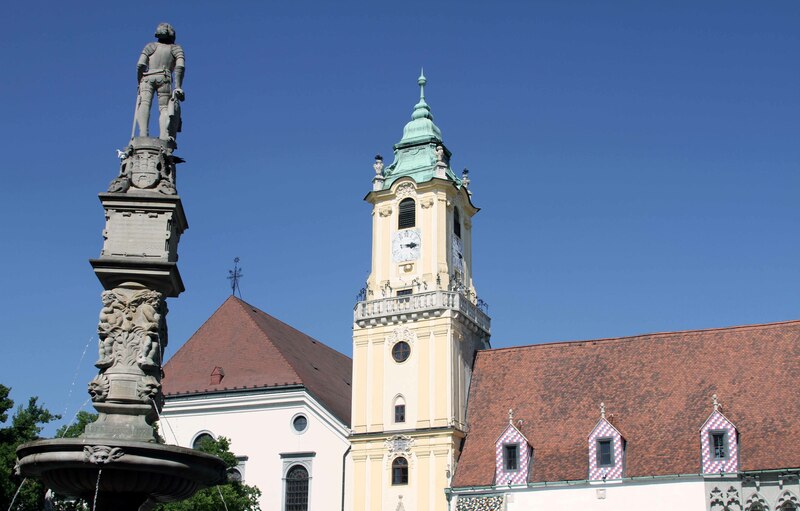 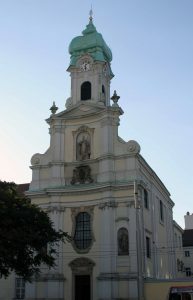 The east end of St. Martin’s Cathedral, the cathedral of the Roman Catholic Archdiocese of Bratislava. 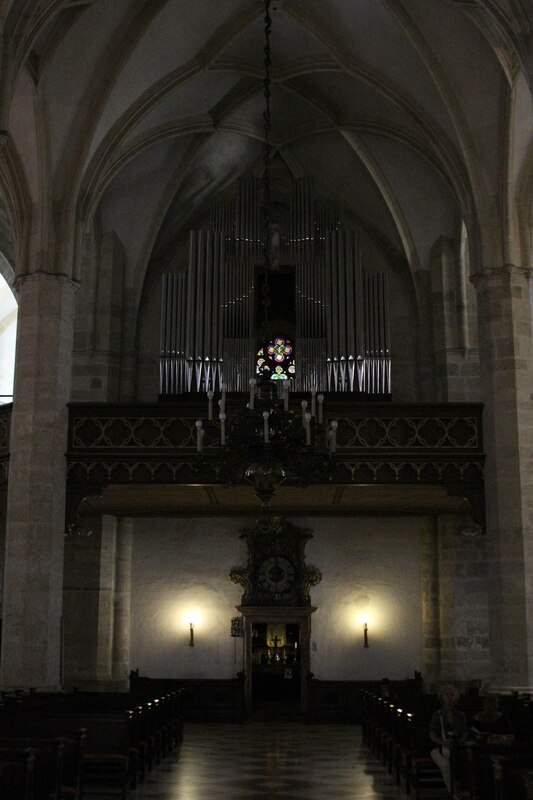 The organ in St. Martin’s Cathedral. 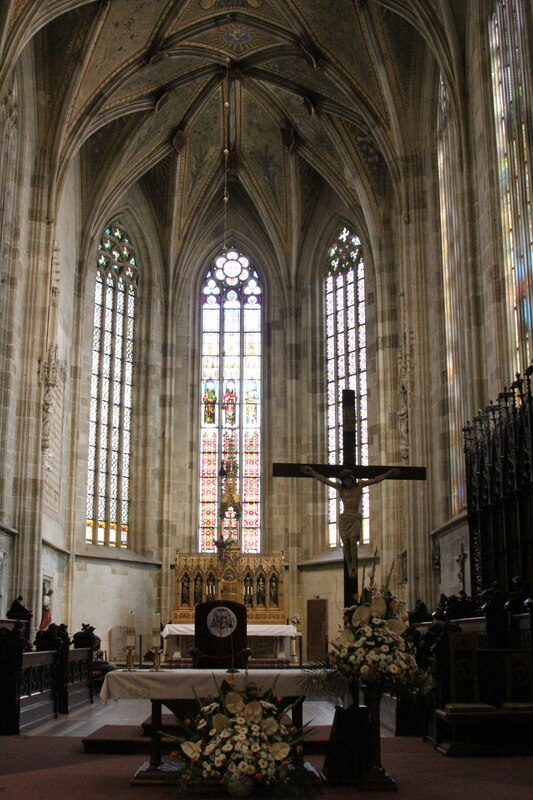 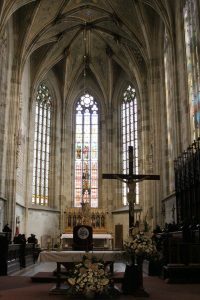 The altar in St. Martin’s Cathedral; the cathedral was consecrated in 1452 AD and is the largest and one of the oldest churches in Bratislava. 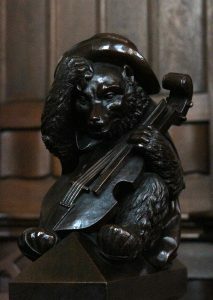 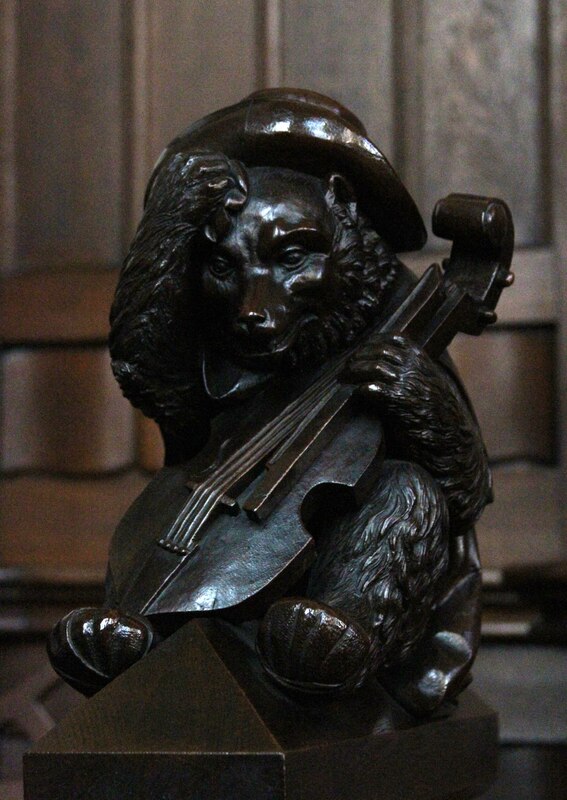 Carving of a jamboree bear on the choir stall inside the cathedral. 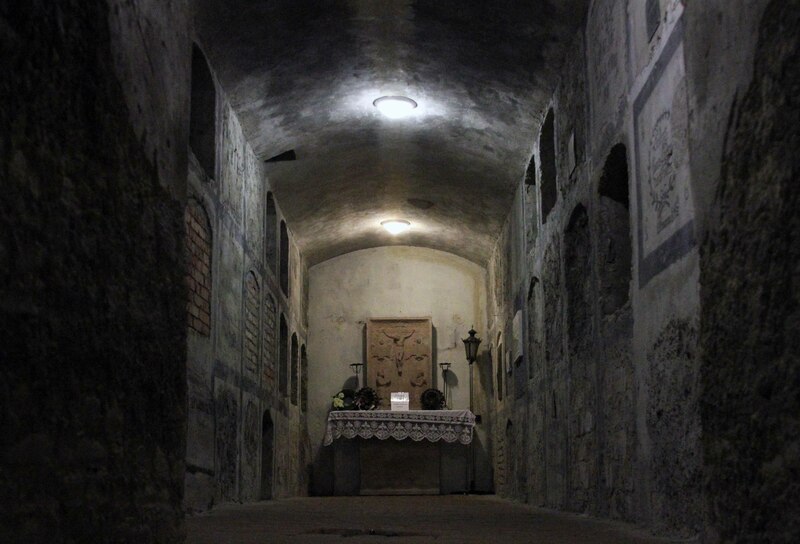 The crypt under St. Martin’s Cathedral. 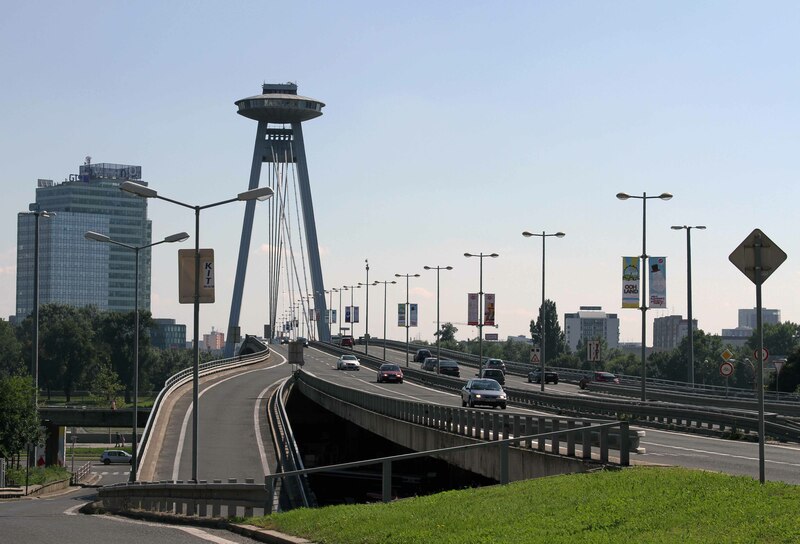 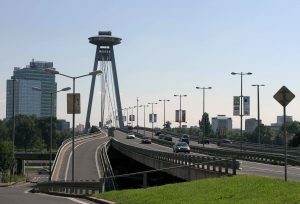 Bridge of the Slovak National Uprising (commonly referred to as “Most SNP” or the “UFO Bridge”); the bridge crosses the Danube River. The backside of the Roland Fountain with the Old Town Hall. 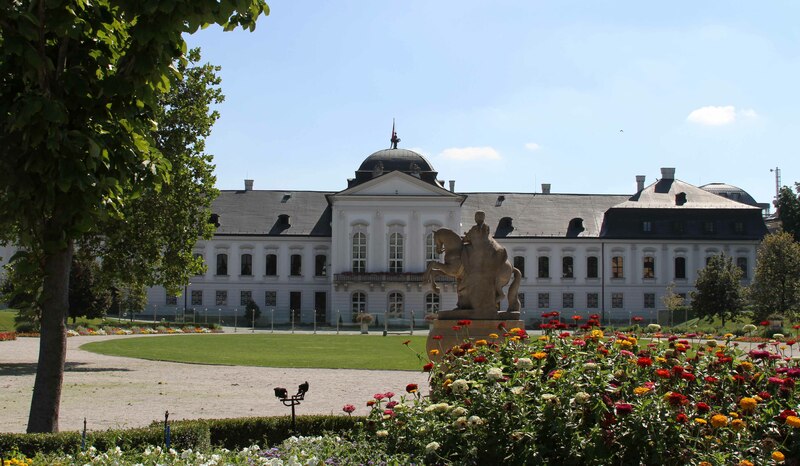 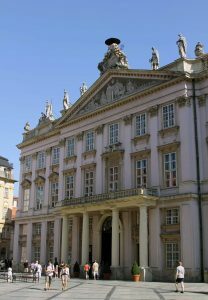 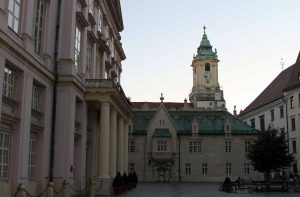 Primate’s Palace; built in 1781 AD for Archbishop József Batthyány, it now serves as the seat for the mayor of Bratislava. 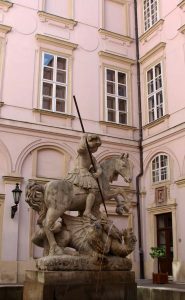 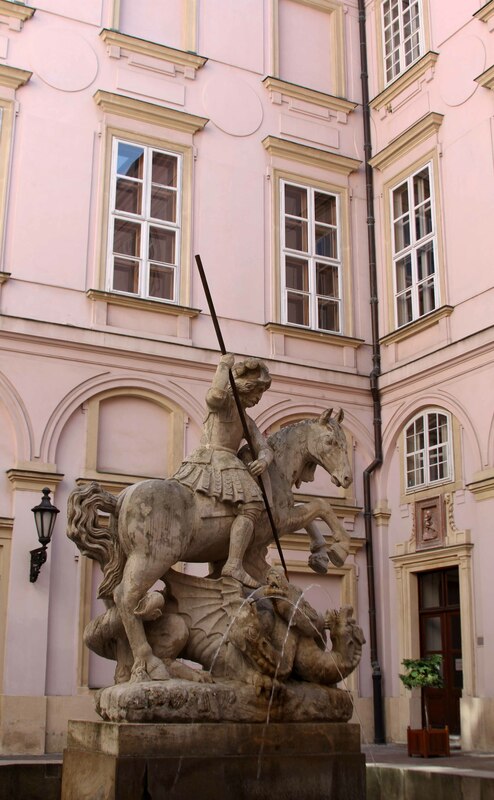 Fountain depicting St. George slaying the dragon – located in the courtyard inside Primate’s Palace. Primate’s Palace seen from Klobučnícka street. 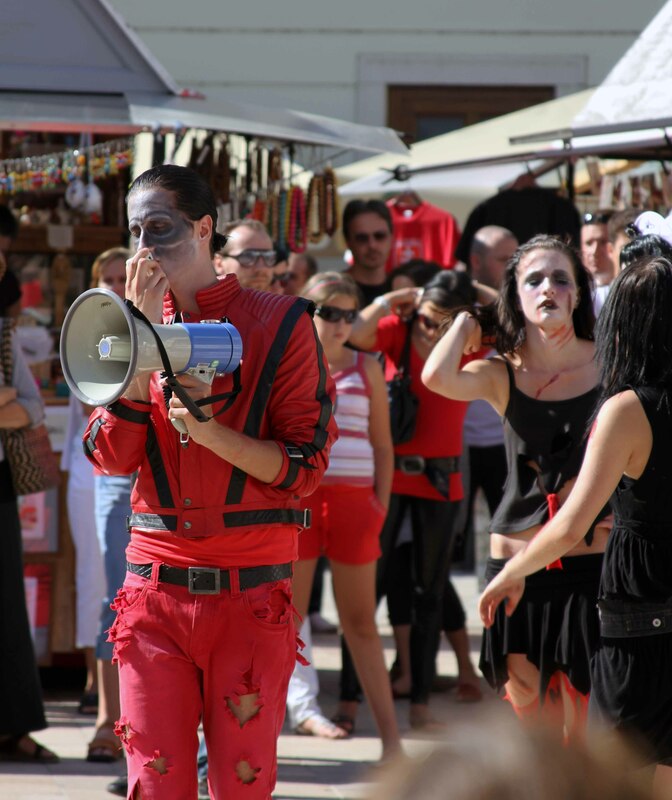 A flash mob performing Michael Jackson’s ‘Thriller’. 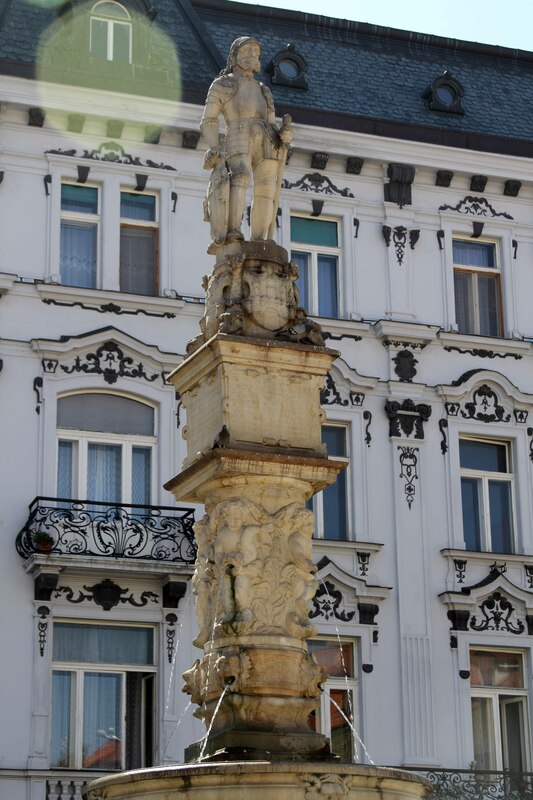 Statue of a Napoleonic Era guard (found in the Main Square). Church and Monastery of the Poor Clares on Farská street with the castle in view. 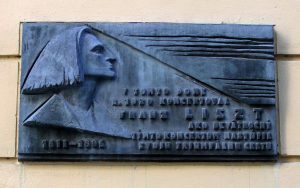 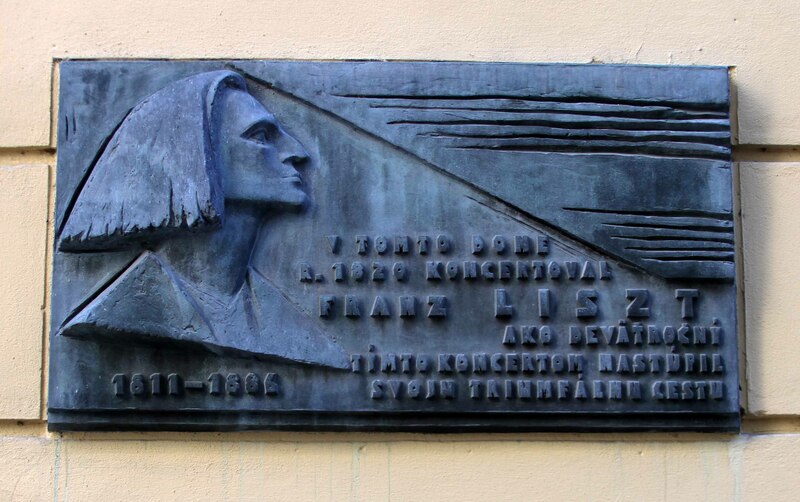 Memorial for the composer Franz Liszt, who visited Bratislava 15 times. 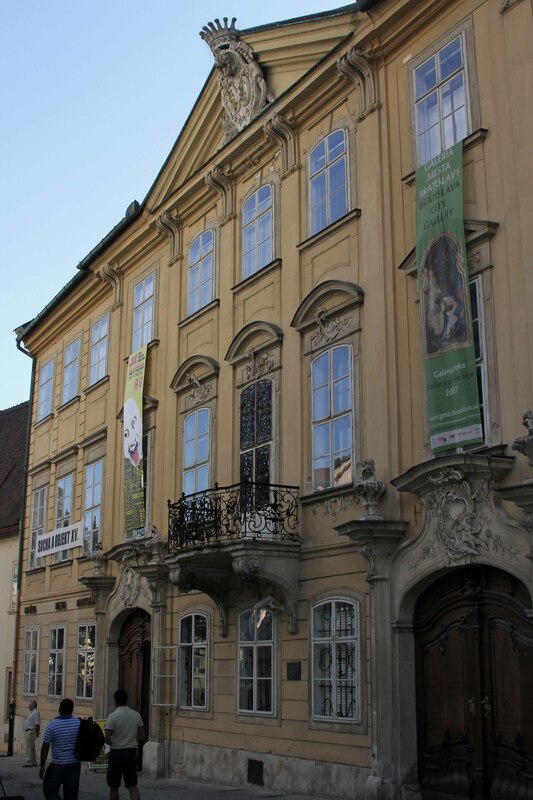 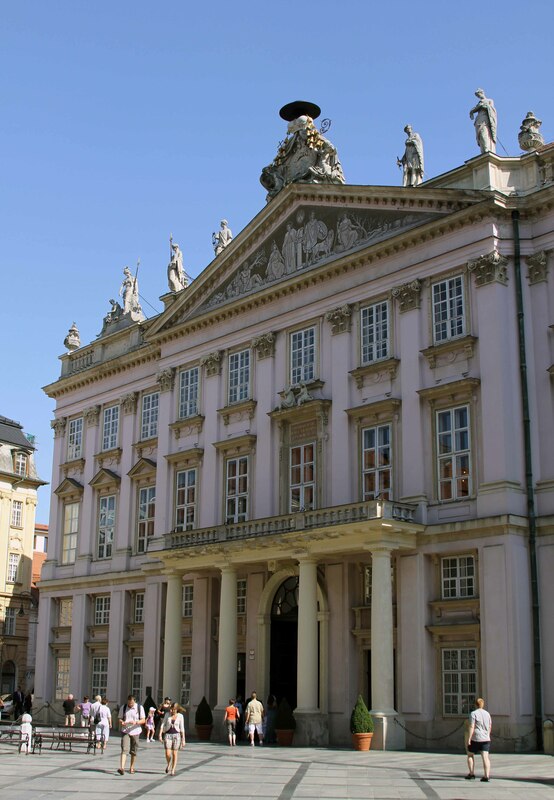 Mirbach Palace, one of two locations where the Bratislava City Gallery is housed. 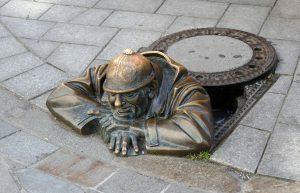 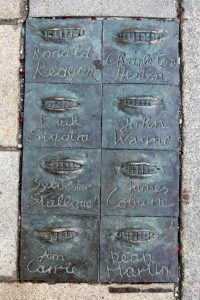 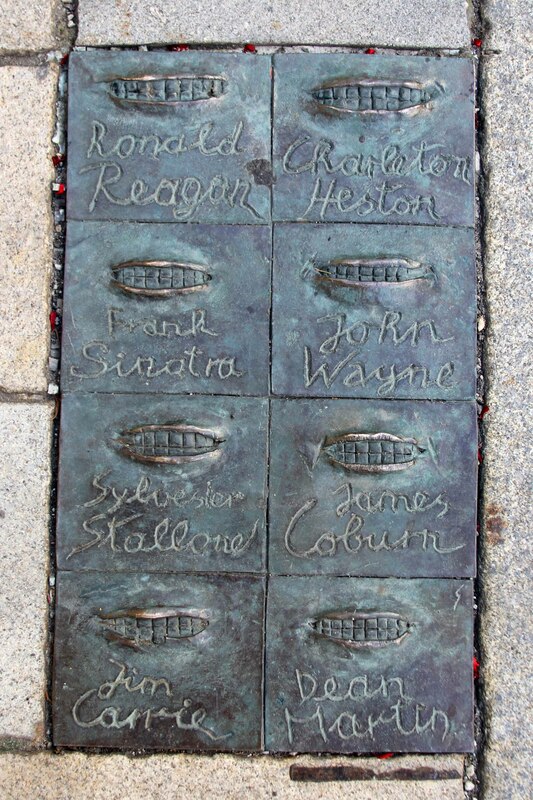 Bronze relief found on the sidewalk in Bratislava. Market stalls on the southwest side of the Main Square. 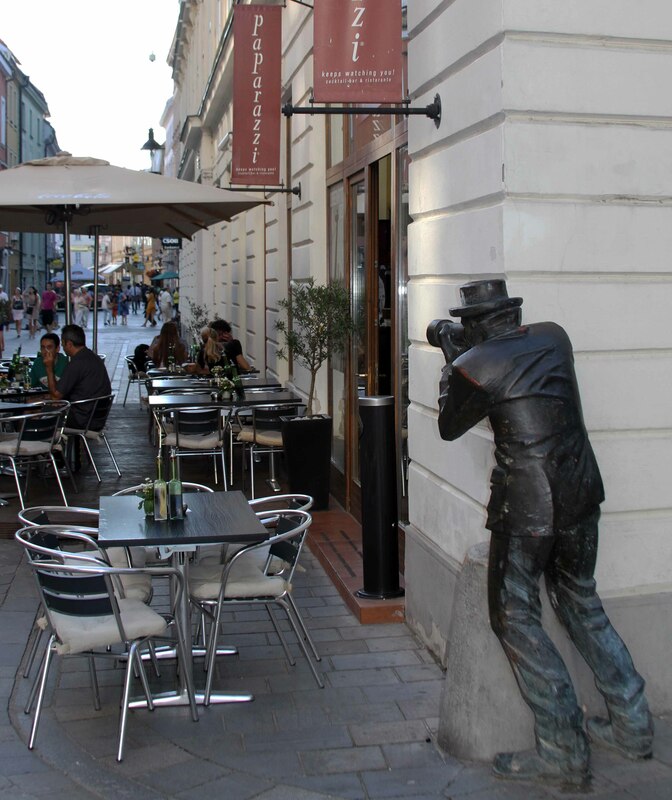 ‘Paparazzi’ statue outside of the Paparazzi restaurant on the corner of Radničná and Laurinská streets. 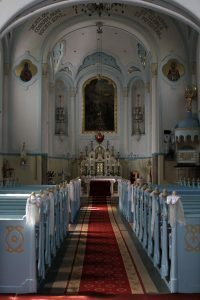 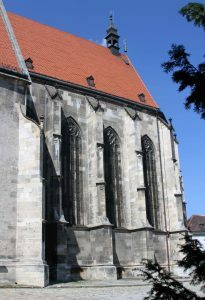 Church and Monastery of Saint Elizabeth of Hungary. 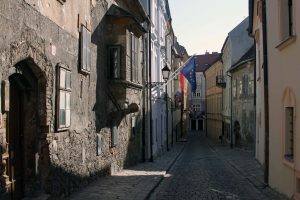 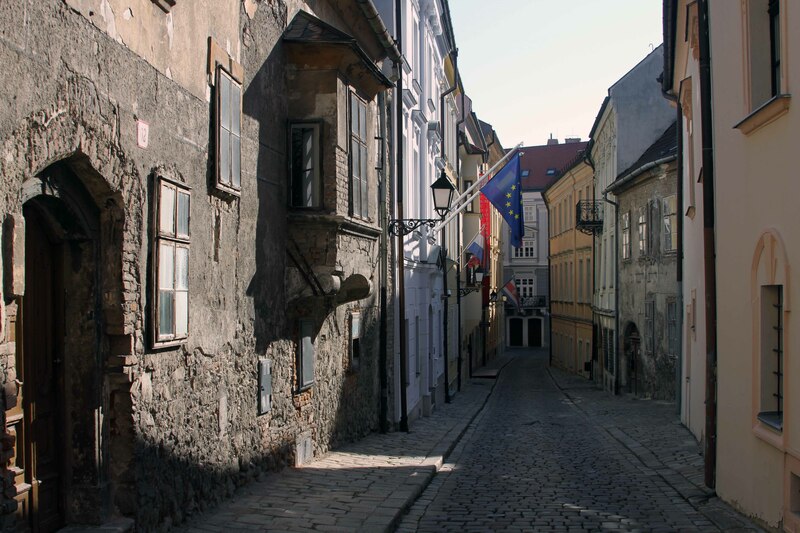 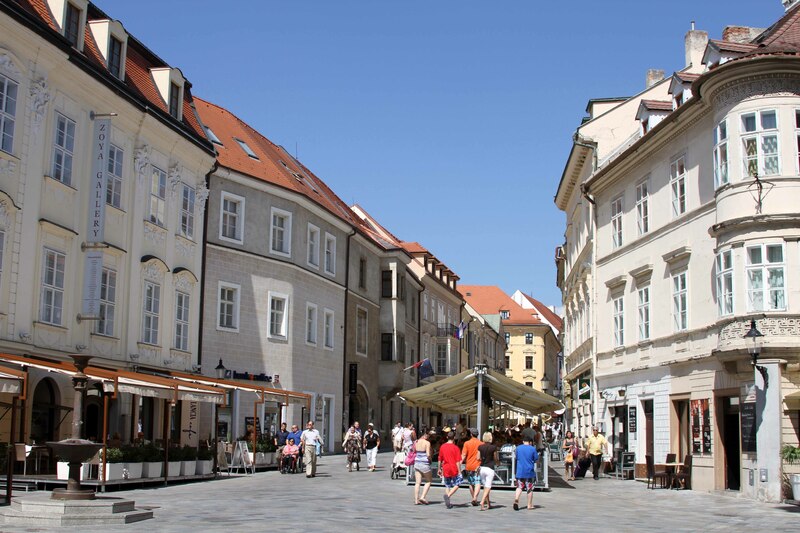 Kapitulská street in Bratislava’s Old Town. 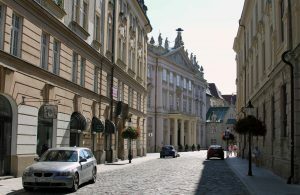 Prepoštská street in the Old Town. 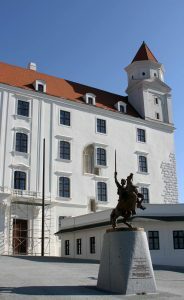 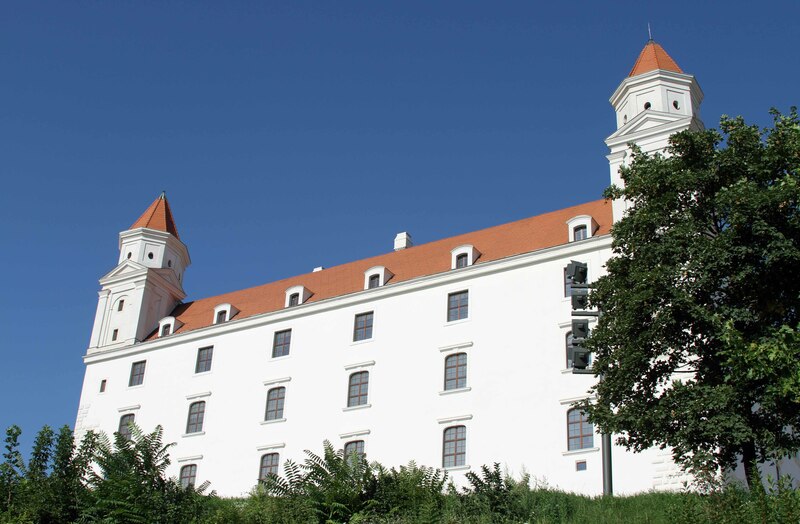 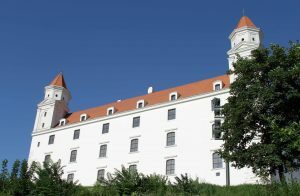 Bratislava Castle, which stands on an isolated rocky hill of the Little Carpathians directly above the Danube River. 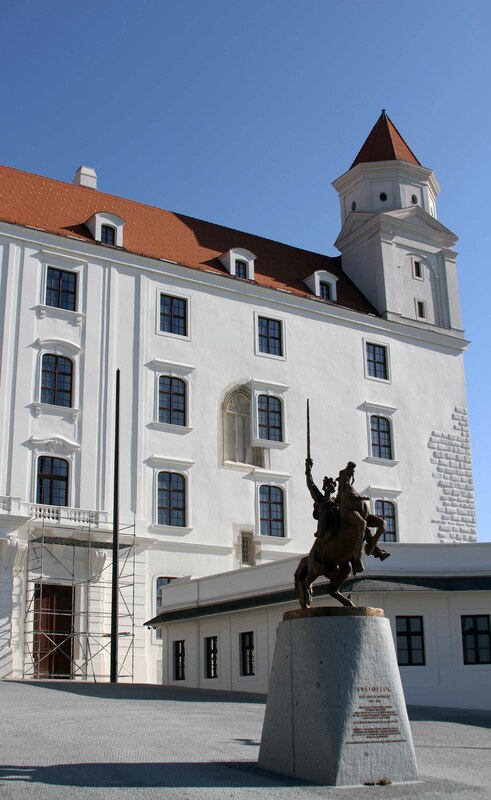 Equestrian statue in front of the main entrance to Bratislava Castle. 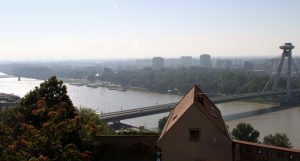 Bridge of the Slovak National Uprising and the Danube River, seen from Bratislava Castle. Sigismund Gate at Bratislava Castle. 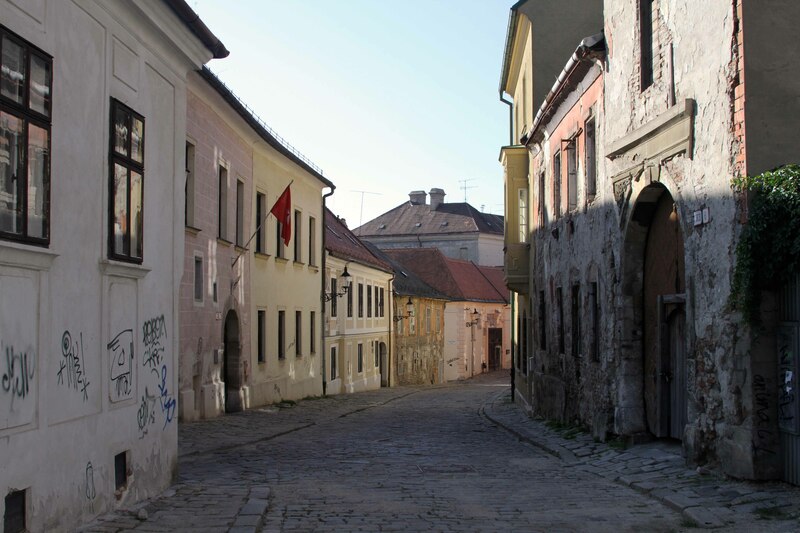 Zelená street in the Old Town. 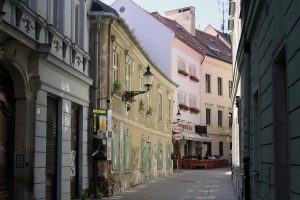 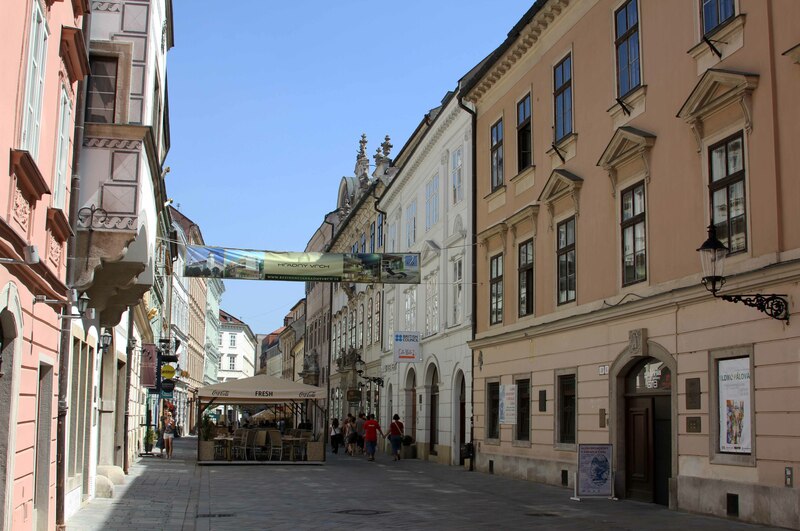 Panská street, next to Palffy Palace – the other building that houses the Bratislava City Gallery. 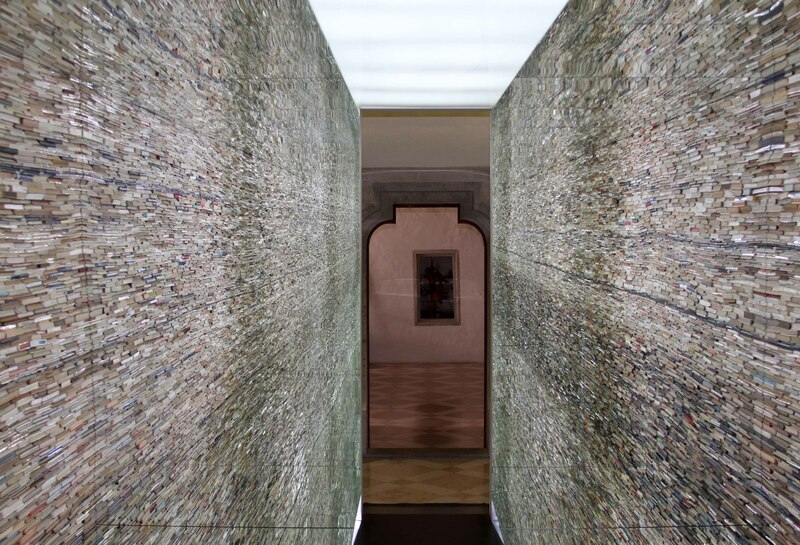 ‘Passage’ by Matej Kren (found in the Bratislava City Gallery in Palffy Palace). 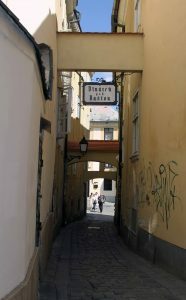 Narrow passage at the end of Baštová street, near St. Michael’s Gate. 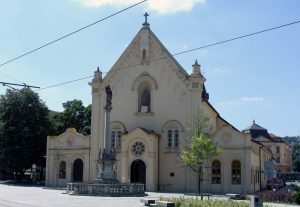 Church and Capuchin Monastery of St. Stephen (built in 1861 AD). 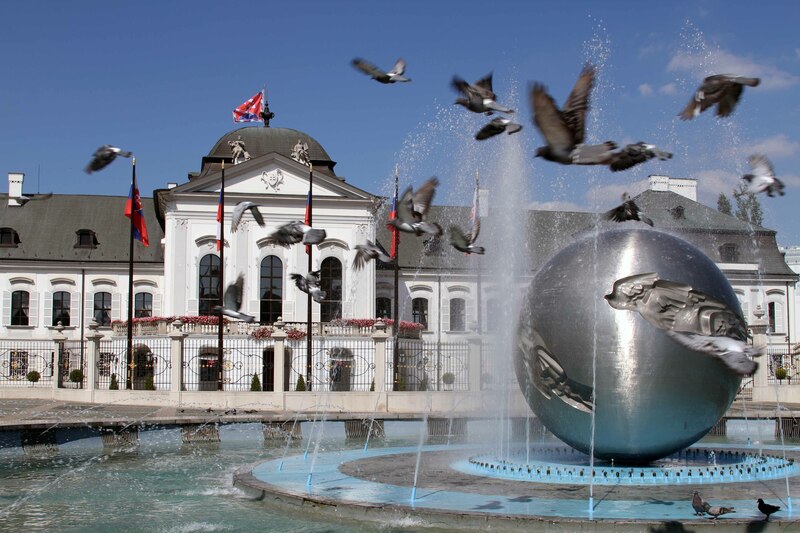 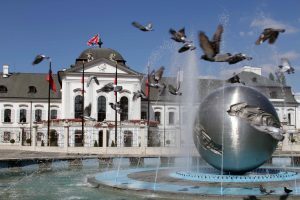 Fountain and pigeons in front of Grassalkovich Palace; the palace was built in 1760 AD and it is the current residence of the president of Slovakia. The garden behind Grassalkovich Palace. 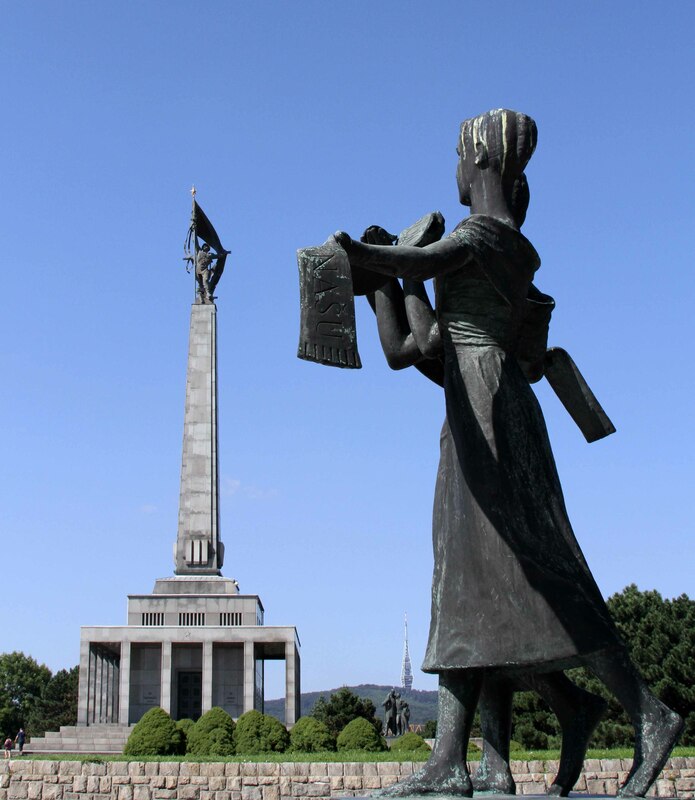 Slavín – a monument for the Soviet Army soldiers who were killed while liberating/occupying Bratislava. 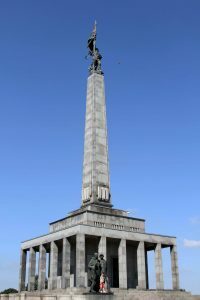 Another view of the Slavín monument. 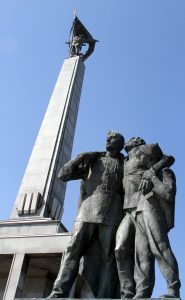 One last view of the Slavín monument. 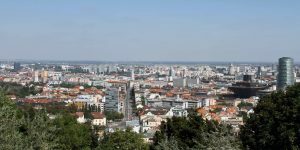 View of Bratislava, from Slavín, with the Slovak Radio Building in sight – it’s the inverted pyramid. 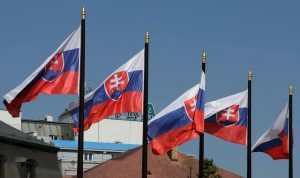 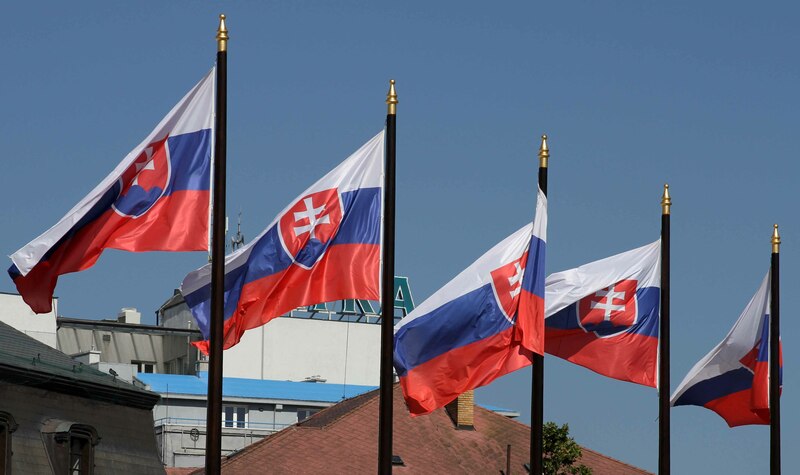 Slovak flags masted in front of Grassalkovich Palace. 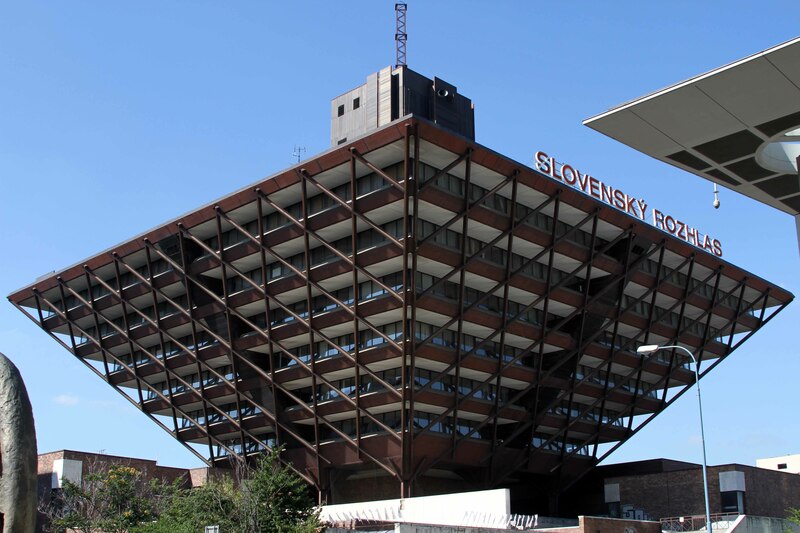 The Slovak Radio Building (built in 1983 AD). 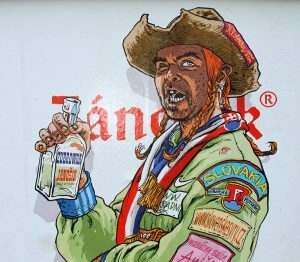 Advertisement – or warning – for Jánošík Żubrówka, a bison grass vodka made in Poland which appears to have been been named after Juraj Jánošík, a legendary Slovakian character not unlike Robin Hood. 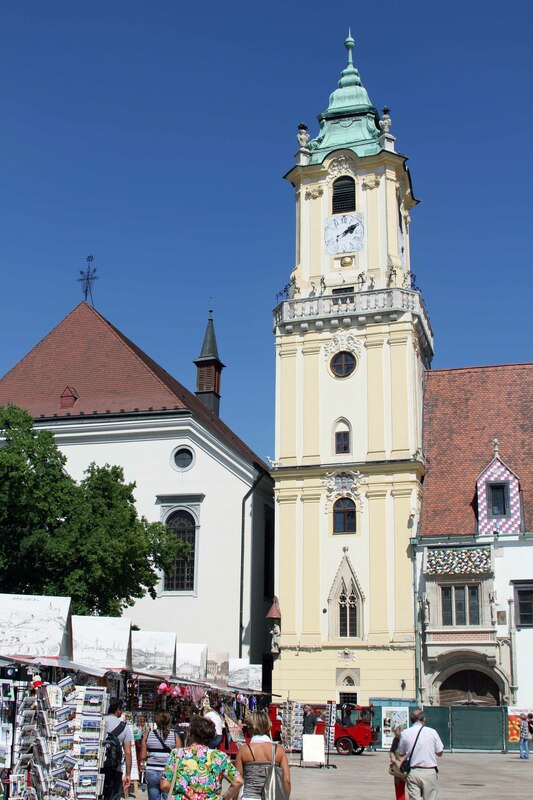 Primate’s Square (just outside of Primate’s Palace) in the evening with the Old Town Hall’s clock tower in view. 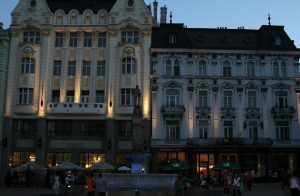 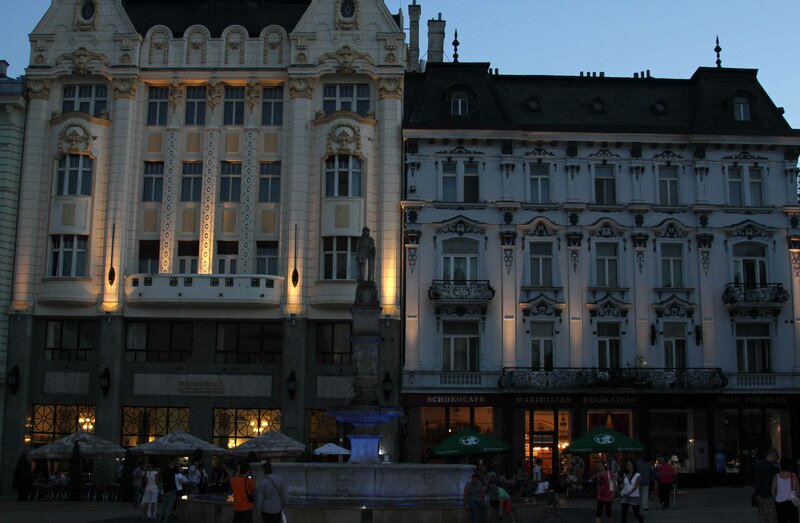 Roland Fountain and buildings on the Main Square in Bratislava’s Old Town, during the late evening.